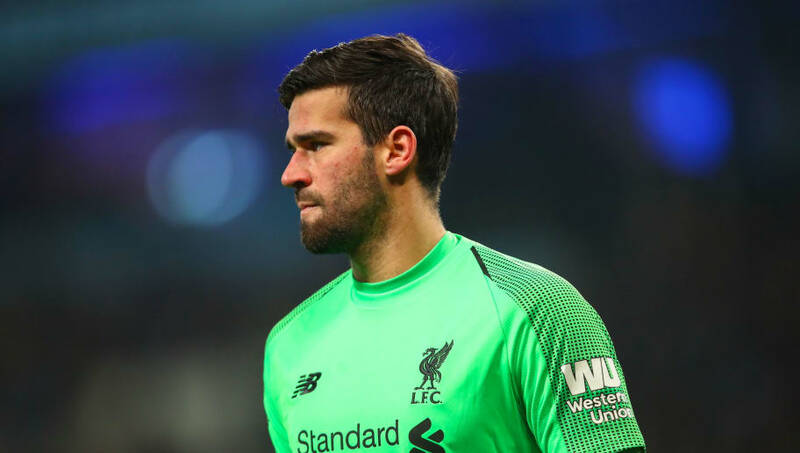 Liverpool goalkeeper Alisson Becker has revealed why he chose the Reds over Chelsea last summer, after an impressive start to life in English football. Alisson and co sit atop the Premier League table after 21 games, with a four point gap over Manchester City in second. And, though they are now out of both domestic cup competitions, they have their best chance in years to win their inaugural title of the Premier League era. Following a stellar season at Roma in 2017/18, the 26-year-old was linked with several clubs over the summer transfer window, with Liverpool and Chelsea the most fervent in their interest. And, speaking exclusively to FourFourTwo, Alisson revealed: “I chose ​Liverpool for the same reasons I went to Roma when I first left Brazil – I thought this would be the best move for my career." After Jurgen Klopp's side dispensed with a world record fee of £67m to beat Chelsea to the custodian, the Blues were forced to break that record just a month later with the £71.6m capture of Kepa Arrizabalaga. Speaking about the possibility of moving to west London before his switch to Merseyside, the Brazilian admitted that the Londoners' managerial disorganisation, as well as their absence from the Champions League, were key factors in the decision. When Alisson officially signed for the Reds on the 19th July 2018, Maurizio Sarri had been in place for just five days, after the prolonged departure of Antonio Conte, and Alisson explained: “Chelsea were changing their manager and not playing in the ​Champions League. "I’ve also always admired Liverpool’s history. This is a club with five European Cups in their trophy cabinet. I really wanted to be part of that history. Mignolet sees Alisson with his relaxed passing. Tries it himself for a goal kick. Fails twice to get it outside the box properly, ends up just hoofing it clear. Superb. Evidently, Europe's premier competition means a great deal to the keeper, so he'll no doubt be relishing the prospect of hosting ​Bayern Munich in the first leg of their last 16 clash on February 19th.